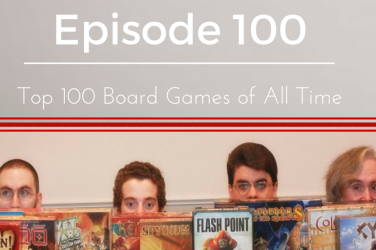 For our 200th episode, we sat down and updated our top games of all time list, with Chris and Anthony both building their own personal Top 100 lists. You can view the entirety of both lists on this page. Both of these lists were built independently of one another, so it’s a lot of fun to see where they match up and where they don’t. If you’re interested, you can also view the lists from 2015 when we did our original Top 50’s for episode 100. Anthony’s is here and Chris’s is here. Azul is one of the hottest games of the last three years, an abstract with beautiful production values, clever scoring mechanisms, and a bit of a mean streak. This and its new edition, Stained Glass of Sintra, are well crafted, finely balanced puzzle-style games that I have a blast playing. I always loved the Game of Thrones Card Game and it likely would have made it to my list either way, but it gets this high up due to a superb second edition. The new edition clears up many issues that could drag out games and limit deck diversity. There are a lot of worker placement games on this list, and many of them are objectively better than this one, but few are as immediately accessible and playable as Lords of Waterdeep. Especially with its expansion, this is an all time favorite. I always love star realms, but I wasn’t truly bitten by the bug until Hero Realms was released, swapping the space battles for swords and boards. What Hero Realms added to the equation was a rich and innovative campaign system with unique player characters and deck building options that evolve over time. Roll and write games are being released left right and sideways these days, but none are quite as good as Welcome To… This roll and write without dice offers a wealth of actions and card play options, deep enough to spin off several expansions and variants in a recent kickstarter. I never would have expected to put a Cthulhu game on a list. Any list, let alone my top 100 list. But here it is. And it’s a doozy. With the brilliant app integration, this is one of the best adventure and exploration games ever made and the theme is deeply integrated. Unless you are deadset against apps in games, this game is well worth trying. This game is so new, you can’t even get it yet! A small Kickstarter last year, Obsession is a game of victorian families trying to work their way up the social ladder. You’ll take actions from a tableau of tiles that require payment in family members and guests, combined with servants. The theme is deep in this game, and the gameplay options intricate. I love a good quick solo game, and there are few games that do it as well as Onirim. The second edition comes with eight expansions packaged in with the box. This spot could almost be shared with the designers other Oniverse games as well, though – Sylvion is a blast. One of the greatest worker placement games ever made, Viticulture sings when combined with the essential edition content or the Tuscany expansion upgrades. At once deep and easy to teach, you can get a lot of mileage from this one little box. Mice and Mystics was high on my list last time as a great entry level dungeon crawl. Stuffed Fables has replaced it as a better, more engaging, and more inventive game full of interesting story beats and clever storybook mechanics. Dexterity games are a lot of fun. Unfortunately, I’m generally quite bad at them. That remains the case for Ice Cool, but I can’t help but love the whirling and twirling penguins that bounce around this little cardboard penguin school. Great for kids, adults, and everyone in between, this game hits the table frequently. This pure auction game is one of the best games I have for six players, quick to teach, and full of interesting decisions, whether what to pull from the bag, when to bid, when to wait, and how to eke out just enough to move up on the tracks at the right time. You like to stare at a board for five minutes trying to make the perfect decision you say? Well I have a game for you. Five Tribes takes the classic mancala mechanism and brings it into modern hobby board games with a big splash, one of the best games of its type and the second or third best from Days of Wonder to date. I liked London quite a bit in its original, hard-to-find form. Martin Wallace’s ability to take a handful of mechanics and a deck of cards and weave a satisfying game from it is legendary, and London is one of the best. The second edition somehow made the game even better. It’s prettier, it’s smoother, and it’s completely card-driven, cutting an unnecessary map element to make the game that much better. This is the ultimate filler in my house. It takes 15 minutes, is immensely simple (my three year old plays it regularly…and does well), and has a few options to expand and make it more interesting in the Age of Giants expansion and the Queendomino standalone. This game always makes me smile. Which is impressive, because it’s an area control game, and those tend to make me frown. But when you throw in card drafting, the meticulous balance of a Richard Garfield game, and cute little bunnies in all of the artwork, how can you not smile! lexander Pfister’s biggest hit after Isle of Skye and highest rated game on BGG, Great Western Trail is a solid euro with a handful of holes that keep it from being truly great. With a couple of weaker strategies early on and an expansion that doesn’t add quite enough, this is game I wish I could rank higher, but I still highly enjoy every play of it I’ve had so it’s a top 100 game for sure. I have always loved word games. I actually got into the hobby when I accidentally stumbled across a local game group while looking for a Scrabble group. So a game like Paperback is right up my alley – and a good thing too because this is an exceptional combination of word placement and deck building that works wonders. Tzolk’in: The Mayan Calendar is as clever as it is fun and it reimagines what a worker placement game can do. I love this genre and when a game does something this unique and this different in a way that works so well, I can’t help but love it. Woefully hard to find, Glen More is a tight, exciting little tile buying and laying game and one that I will pick up as soon as I find a copy. The roundel works perfectly for the tiles that slowly amp up in power and the way the scoring evolves over time keeps everyone in the game until the very end. A lighter, shorter card game version of Russian Railroads, First Class is the train game everyone can play. It plays under an hour, and has several modules out of the box that allow you to customize and adjust your games. The table space can get excessive, but if you have the space and a love for trains, you owe it to yourself to play this one. The only thing I remember from my first play of The Speicherstadt is “damn, this is mean”. It is, but it’s also a heck of a lot of fun. A tiered, meeple based auction system forces you to make tough decision after tough decision, and sometimes, someone else is willing to go just a bit higher than you to get what they need. The expansion is a must and the game is out of print, so hunt down Jorvik, a viking retheme with the expansion packed in. Funny story about Food Chain Magnate. I hated it the first time I played. I got my but whooped so bad that I was checked out and angry by the second hour of the game…of four. But I spent the next two days thinking about nothing but this game. I had to play it again, and since then it has become one of the event games we turn to up there with TI4. Rosenberg’s foray into polyomino puzzle games is now legendary, with a trilogy of big box games and now three patchwork games on the market. This is the original, though, and whether a quiet game night with my wife or the app right before bed, I keep coming back to the quick, addictive challenge of trying to make the most complete, button-filled quilt possible. The original mechanics are solid, and the new production spectacular, but what really makes Santorini stand out as one of my all time favorite abstract games is the integration of player powers that make every game just a little bit different. I was hesitant to put this one on my list as I hadn’t played in some time, but a recent European rerelease and a few copies on BGG meant I got a copy of my own, and have played several times of late, reaffirming my love for this norse themed co-op. Brutally difficult at times and thematically rich, this is the kind of puzzle-based co-op I can get behind. This game is ridiculous. Just completely bonkers and hilarious, and so, so good. It’s got killer miniatures (which I love), and the kind of ‘so simple it’s brilliant’ gameplay that I can’t get enough of. Combined with campaign play, it’s fantastic. You stack cards as high as they will go! It’s so much fun, and a universally accessible game. With the release of Super Rhino Hero, I keep the big one at home for the kids and put the small one in my game bag for game nights for the rest of us. 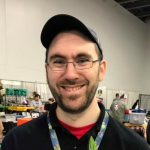 Mike Fitzgerald shows up on my list twice – this guy is a card game genius and Baseball Highlights is the only true baseball sim out there that I not only enjoy, but can play alone. The evolution of your deck between games is fantastic and the fact that a game only lasts 7 minutes makes it a super flexible filler game and perfect for tournaments. Energy Empire is a very different game from its namesake, tasking players with managing the pollution afflicting the world from energy production. A tableau builder in which you attempt to manage your workers enough to acquire and activate a range of powerful abilities, Energy Empire is a clever puzzle hidden behind an accessible euro. Simple, succinct, almost always different, and so fast to play – this is a great game in a number of ways. Every time it hits the table I’m excited to play, though, it’s not as often as I would like. This bag building classic remains one of the best of the bunch, thanks in large part to the sheer volume of different modules and upgrades you can implement through the game’s expansions. With amazing artwork evocative of the historical period, and a fun, easy to explain bag building system, Orleans remains a top pick. 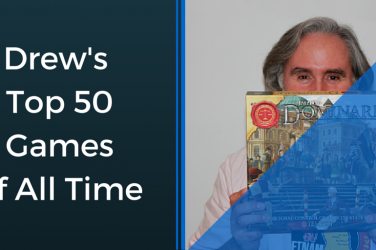 I have several detective case solving games on this list, but Detective: Modern Crime Board Game is the most impressive of the bunch. By leveraging technology in an online database and including real world events and people, Detective becomes a truly immersive, almost RPG-like experience of trying to solve a case. Players will argue, take notes, research, and spend hours on each of the box’s five cases, and it’s an experience like few others. This game of dice drafting and resource management first caught my attention thanks to its cover. Bright and beautiful artwork, unlike anything I’d seen on a euro before, Coimbra is a joy to look at and a fantastic experience. More interactive thanks to the dice and card auction/draft than most games in the genre, it allows several different paths to victory. With expansions and new card options I can see it going even higher on my list. This was the first Stefan Feld game I played and still one of my favorites. The cube tower is a blast, but so too is the epic exploration of the board and the point salad scoring fest to determine the winner. I played Macao almost two years ago at Dreamation in New Jersey and instantly fell in love. So much so that I spent the next year trying to track down a copy for less than $100. This Stefan Feld gem uses a twist on the rondel to make certain cubes available each round to take a variety of actions, from collecting and delivering goods, buying city quarters, or picking up and using new cards. It’s a shame this one is still out of print. Mac Gerdts is famous for his rondels, and this is probably my favorite of them. Players sail across the 15th century landscape to discover new lands, establish colonies and trade goods, all while manipulating and managing an active economy track. With several different building types, workers, and categories, players can all go in different paths and find victory. Dinosaur Island distills worker placement into some of its core elements and crafts a uniquely satisfying game of dinosaur park building, 90’s theme, and tons of cards, tiles, and upgrades (now with expansions!) – this is one of my favorite medium weight games out there, period. What a daunting game! The box warns you up front with its play time of 1-6(!) hours, but you have the option to adjust and shorten or lengthen your game however you want. The resulting puzzle-like simulation takes time to learn, and even longer to master, but is such a satisfying, historically driven experience – it’s like few other games I’ve played. The way I play Sherlock Holmes, it’s more of an interactive puzzle than a game, but man is it a good one. Loaded with vintage style newspapers, classic cases full of Doyle-esque prose, and the chance to compare your score to the master himself, every new box of Sherlock Holmes Consulting Detective cases is several weeks of evening entertainment for me. Inexpensive, accessible, and incredibly deep, this euro from the early 2000’s offers a range of gameplay decisions and works extremely well with varied player counts. Plus, you get to pretend it’s the Renaissance. Isle of Skye was a fun, Carcassonne-esque tile laying game that hit the table plenty when it first released. 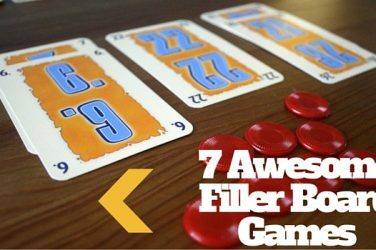 Since then, a Kennerspiel and two expansions have made it a mainstay at the table for quick fillers and one of the few bluffing and bidding games that will have a permanent spot on my shelf. It’s like Istanbul, but bigger, a bit longer, and with more depth (i.e. better). Managing the movement of your workers, planning where and when you’ll trigger different tiles, and tracking your points over the course of the game makes for a brain burning, but very satisfying experience. This might be the newest game on the list, but it rocketed up the charts fast. A beautiful production, loaded with interesting decisions, and a clever rondel-driven worker upgrade system, Teotihuacan jumped right into the upper tiers of mid-weight euros for me. It might be the artwork, or the way the game works to integrate clever theming into the actor and artisan cards, or maybe I just like anything to do with Shakespeare – whatever the reason, this quick and yet relatively thinky Euro is a favorite that keeps hitting the table. It’s big, it’s epic and it’s Star Wars. What more do I need? Turns out, a bit of time as well. I haven’t gotten nearly as much time with this game as I would like, otherwise I’m sure it would be higher on the list, but even still, nothing quite compares to Star Wars in a box. I’m in the camp of people who feels that Race and Roll for the Galaxy fill a similar void in the collection and I lean toward Roll for the Galaxy. It’s faster, more flexible, and a lot more fun with new players. With the Ambition expansion, it is even more open as well. Probably the only game on this list to get a spot because of its app, Through the Ages is the best civilization game I own and has by far the best digital implementation I’ve ever experienced. Clever mechanics, a brilliant tutorial, and so much content in the box, this is the game to get if you want a long, involved civ-builder. I’m not generally a fan of long, arduous area control games, but Dominant Species really works for me. The tight, near-cutthroat nature of this game, combined with the depth of strategy (one that changes for every species of creature), is addictive. Take the best elements of route building, resource development, and hand management euros and combine them into a single beautiful game set in the trading ports of Ancient Rome and you have Concordia – this game is so good it makes me smile just thinking about it. Simplicity at its best. Alhambra can get dull in its vanilla form but even so it works perfectly for engaging new players in the hobby. Add in one or two of the expansions and you have a game with limitless replayability – a real favorite in my house. This is one of the few Rosenberg games that doesn’t immediately feel like a Rosenberg. Players race to grow vegetables and use them to fulfill contracts and long term customers, while drafting cards in a central turn every round. Scores are low and money tight – making every decision impactful. Here’s my oddball of the list – one that you won’t find many places, but that I adore. Iki is a rondel-based game in which you move around the market of Iki attempting to level up and retire different artisans. It’s fairly simple at its core, and incredibly beautiful, evoking Ukiyo-e, woodblock style artwork of the time and one of my favorite board game covers of all time, and unfortunately relatively hard to find. If you see it, get this game. It’s Star Wars. It’s miniatures. It’s pre-painted X-Wings. This is the kind of thing that drags people into the hobby kicking and screaming. There are a lot of games with the “one card, many purposes” mechanic and this is one of the simplest and most replayable. A perfect game for two people and a fantastic app on my iPad. I had played Alexander Pfister games before, but this was the game that made me know who he was. A clever and addictive card play and hand management system, a multi-track balancing act for scoring, and several carefully interwoven mechanics make for what I feel is his best game to date. This game has two very different looking versions, but CMON thankfully kept the core game play the same. One part ticket to ride, and another part engine building euro, players pay to place houses around the map and chain bonuses off one another in a quick 60-90 minute game. One of my favorites of the last few years, Council of 4 is a homerun. I’ll admit it. I scoffed when this was announced. Another card game version? Like Power Grid? Except, it wasn’t like Power Grid. It was more like San Juan, not just a good game, but almost as good as its big brother in cardboard. It’s fast, it’s compact, and while it takes up a lot of table space, it manages to feel like CoB. Like millions of gamers, I got my start in CCGs and quickly graduated out of them when I realized I could do so much more with the money I was spending. FFG managed to pull me back in with the clever combination of cards and dice in Destiny, though. Combined with my favorite IP and a litany of cool new mechanics, this one is still a favorite in my house. I liked Vast, but never played it due to how hard it was to teach and how long it could take. Root does all of what Vast did, but repackages it as a COIN-style war game and does it faster and cuter. I love Root more than I ever thought possible for such a game and with more content on the way, it has a spot in my regular rotation for years to come. Uwe Rosenberg has a lot of sandbox games, but this is one of the best. Broken into seasons that correspond to different action options, you must carefully plan and manage your actions over the course of several years against 1 or 2 other players. The Tea and Trade expansion makes it longer, but also much better. I’m a recent adherent to this worker placement classic and the genre has clearly come a long way in the last decade, but it still works so well. The new deluxe edition adds some fun new flair and a shiny coat of paint, but the core mechanics are still tight, fast and very fun. I often feel like I’m trapped in an echo chamber when playing co-ops, taking directions from other players and arguing over the next move. That happens in Robinson Crusoe too, but it doesn’t matter – the story is so compelling and the player differences so tightly defined that it just plain works. I’ve been a fan of the birth of nations series since it began, owning 1775 and 1812, but 878 Vikings, the reimplementation of the system in Europe for the first time is by far the best. Asymmetrically balanced with a huge swing available as the vikings and several upgrades and expansions to build the game out. 878 vikings is my favorite two player war game that isn’t based on an IP. Clans of Caledonia is a mash-up of several of my favorite things – farming euros, economic games, and Terra Mystica. It’s none of these things, and yet somehow all of them, and despite the derivative description, the combination works exceedingly well. For a compact, small-production euro, this one is a keeper. Another dice-driven euro, Troyes allows you to purchase and use dice from any player, effectively expanding your dice pool to match your money. Combined with a series of clever mechanisms to face global threats, compete for new actions, and work toward one known and several hidden end-game goals, this is another oldie but goody. Nations makes the list for a couple of reasons – first it’s a great civilization game. More than that, though, it allows players to progress through the game in the way they feel best fits their needs and the replayability is incredibly high. Combine that with solid solo play mechanics and this is a strong favorite in my collection. Ever want to build a rocket and go to space? Leaving earth is the kind of seamless integration of simulation and game experience that you rarely find in the hobby, and its hand made by one guy. Hard to find and harder to beat, Leaving Earth is the hidden gem I’ve long loved that’s finally reaching the masses. My favorite of Alban Viard’s small city series of games, Tramways isn’t much to look at, but has a brilliant puzzle core and an auction-driven deck building component I’ve still yet to see in other games that forces careful consideration of what you play and what you buy. I love dice placement as a mechanism, but it can be challenging to mitigate and manage the rolls…unless everyone has the same dice! Lorenzo is an almost punishingly tight tableau builder that offers endless permutations, made even more engaging by an expansion loaded with additional content. Lisboa takes everything I love about Lacerda’s designs and channels it into a sublime 2-3 hour experience of rebuilding a broken city. Complete with many of his trademark mechanics, including follow actions, and another beautiful board from Ian O’Toole, this is a prize in my collection. Vital Lacerda is one of my favorite designers for how he injects theme and aesthetic into his games, taking what would otherwise be heavy, mechanically-charged games and making them into works of art. The Gallerist remains my favorite for its ability to weave the three together in such a precise, engaging way. Rather than buying starter sets and overpriced miniatures for a tabletop war game, I’ve been more than pleased with Battlelore Second Edition. The perfect refinement of Richard Borgs’ Command & Colors system, this one shines. It just needs more factions. I actually disliked 7 Wonders for the first several plays. It’s hard to know what to do for a long time with all those icons, but once it clicks, the beauty of the game becomes immediately apparent. It’s so elegant, and with the expansions, the tension and strategy ramps up even higher making this a top pick for me. Pandemic Legacy Season 1 is one of the best gaming experiences of my life. It was tense, engaging, and spectacularly fun. I’ve been chasing that feeling ever since and no other legacy game has managed to live up (hence this being the only one on the list). It’s only not higher because I find it hard to recommend a 15-20 hour experience on a list like this. Just when I thought Fantasy Flight couldn’t take any more of my money, they one up themselves with Imperial Assault. And of course, we have Rebellion coming in a few weeks (my wallet weeps…). Imperial Assault is one of the all time great dungeon-crawling style, one vs. many games out there. Descent but better and with Star Wars? Sign me up. It’s a testament to just how good this game is that it has climbed so high in such a short time. Since my first play at GenCon last year until now, I’ve yet to have a bad session with this one (and I’ve only won once). It’s fast, it’s combative, and it rewards actions of all types. Yes, you can get stomped out of a region you spent time building up, but you can be right back in there the next age, and if one game goes poorly, the next will be completely different. From gorgeous miniatures, to carefully balanced card drafting, there’s nothing about this one I don’t like. Adventure gaming for euro players! The intricate puzzles of each of this game’s chapters are immensely satisfying, from beginning to end. With a full trilogy of content and more than 40 adventures to complete, the game has replayability almost on par with Gloomhaven, and a fun story to draw you through it all. Lord of the Rings still holds a special place in my heart and on this list, but Arkham Horror is likely the better game, fine-tuning and streamlining both narrative and mechanics into a beautiful single player and two player experience. This game looks and sounds bonkers – full of futuristic sci-fi factions, an ominous apocalypse and liberal doses of time travel. Under all that theme, though, is one of the best worker placement games I’ve experienced, and a brilliantly crafted solo game. 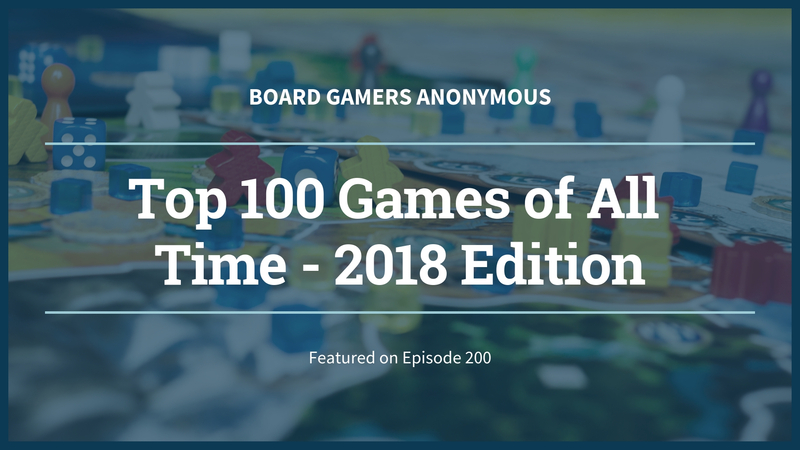 While not quite the “greatest game of all time” I was hoping for, Scythe nonetheless remains in my top 20 and for good reason. Full of interesting decisions, a sublime mixture of adventure, puzzling, and combat, and loaded with expansion content, it manages to do everything so well. I can’t help but salivate while playing Russian Railroads and seeing my score double then triple and balloon up into the 300s and 400s. A true snowball worker placement game, it’s so much fun. And German Railroads, the first expansion, fixes just about every problem the original had and makes it that much better. Power Grid looks and at first feels a bit dry, but the game holds up incredibly well to other more complex and advanced economics games. Throw in the big deluxe edition board, upgraded components from Stonemaier Games, and one of the dozen expansion boards, and you have a game that I could play on end for days. If you’ve listened to the podcast the last year or so, you know this is one of my favorites. Imperial Settlers now has five factions, deck building options, and completely asymmetrical play that allows you to really build a civilization in a fun, borderline campy world of your choice – it’s really good. Sitting at #1 on BGG and probably not going anywhere for a while, this game is a beast. Big, long, loaded with content, and none too cheap, it’s also the single best dungeon-crawl experience you’ll ever have, and while I have come nowhere near beating it all, it’s got a place of honor on my shelves. Quite possibly the perfect two player game. Quick, accessible, easy to teach, and a perfect distillation of everything that 7 Wonders does so well, Duel is a game I always have in my game bag for the two player droughts we all run into. We talked about this on Episode 94 and I just can’t help but love the city-building mechanics in Suburbia. They’re clean, they’re strategy-laden, and the game is infinitely replayable. Castles of Mad King Ludwig drags too much for me to switch teams at this point – love this game. From the guys who brought us Tzolk’in, The Voyages of Marco Polo is a brilliant refinement of several familiar euro mechanics. It’s a testament to how good this game is that it makes my list at such a high spot less than a year after release. The ultimate farming-based worker placement euro, Caverna takes what makes Agricola a success (even if I don’t like it) and refines it into a brilliant game that scales from 1-7, has awesome components, and allows you to stay underground if you’re truly tired of sheep and pumpkins. Built for 1-2 players, Mage Knight is the pinnacle of solo gaming. This is a brilliant, tactically rich, adventure-driven puzzle of a game full of crunchy mechanics and thematically-rich gameplay. I love Mage Knight, Star Trek Frontiers for reenvisioning it in a slightly easier box, and everything in between. Spyrium is an underrated gem, and a perfect middle-ground euro for smaller groups. It’s inexpensive, quick (an hour or so), and flexible with up to 4 players. It’s also a great little engine builder with a unique worker placement and retrieval mechanic that makes for frequently exciting games. Uwe Rosenberg is the master of worker placement games, one of my favorite genres of games, and A Feast for Odin is the biggest, most audacious, and most puzzley of the bunch. Hence it’s spot here on the list. It’s big, it’s long, and it’s loaded with so many decisions that I still find new things to do in it to this date. I have more than 1,000 cards for this game right now and still love sitting down to spend hours digging through them to build decks. It’s a perfect one player game that works just as well with two in co-op and tells a great story from a familiar universe. One of the many blemishes on my list of games played for years, I finally experienced Brass this year, which instantly shot into my top 10, until I played Birmingham, the revised edition from Roxley Games, which is sleeker and offers a slew of new interesting decisions in the same compact, tightly designed package. Like a lightning bolt, this game crashed into my top 10 last year, instantly blowing my preconceptions about cooperative games out of the water. At once an engaging social commentary and a blisteringly difficult cooperative game wrapped in a shell of euro-driven mechanics, there are few games as well conceived and executed as Spirit Island. It’s ugly to look at, can drag on for far too long, and the deck of cards is a little large with all the extra stuff, and yet I love it. Terraforming Mars has immense, constantly growing depth – the kind that has made it my most played game of both 2016 and 2017, and not too far behind in 2018. I didn’t have a chance to play the previous iterations, but a fateful spot in the FFG line at Gen Con and a chance to get it and play it early introduced me to one of the best games ever made. Sweeping, epic, and full of interesting decisions and things to do, I have never had more fun than the six to ten hours I have spent playing this game. Everything I loved about Terra Mystica but better. Gaia Project has the same tight, finely tuned euro gameplay of the original, but with more variability, better balance, and a cool space theme. The only way this gets bumped is if they somehow bring the same to Terra Mystica. Square wooden block have never been more elegant. The Duke provides a Chess like experience, but unlike Chess, you have the moves printed on the pieces and when used in play, you flip them over to discover a new set of moment rules. There are many expansions for the game that open up new ways to play too. What breaks down to a simple abstract game, towers above and beyond all the others with its thematic integration in components and gameplay. Photosynthesis table presence alone is a wonder to behold. Party games almost by their definition are a one time throw away event, and yet, Dixit with its fantastic art and opportunity to conjure up endless clues is worthy of being in a museum. 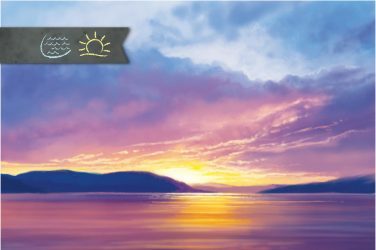 Majesty: For the Realm is a light weight set collection game that allows for some truly meaningful combos and direct player interaction. Add in some great artwork and you got yourself a fine game. Premium Love Letter gets a lot of hate because of its success and numerous versions, but Love Letter Premium with its large cards, additional roles and brilliant production gives it elite status. Dixit + Clue=A dark and stormy night of Mysterium! When you think of dungeon crawls, often times these days you are talking about super detailed miniatures and elaborate modular boards and yet, Dungeon! In its original strip down form has stood the test of time simply because it is provides the essential fantasy adventure of pressuring your luck to seek out and battle the unknown. Stone Age is a modern day classic worker placement game that effectively brings dice into play that endears it to eurogamers and gateway gamers alike. Revolution! Bring together blind bidding and all the thematic elements of blackmail, bribes and downright force to push your control. The expansions really open up the game and replayability. The Speicherstadt is currently out of print, but you can pick up Jorvik, which is the same game, but has an oddly pasted on viking theme. Either way its a smart and tight bidding set collection game from Stefan Feld. Quantum is a streamlined 4X in space game that utilizes dice to represent the ever changing power of your fleet. Modular game tiles and numerous technologies allow for a vastly different game play each and every time. Abyss is a thematic set collection game with a bit of push your luck that comes together in a light weight eurogame. The outstanding artwork, production and expansions make this a frequent visitor to the table. Colorful, bright and with big chunky dice, Seasons, brings you a magical elemental world through some of the best art work in gaming and some serious tactical decisions for long term success. Sequels offer more variety, but the base game stands great even on its own. Amongst the many superhero tapletop games out there today, Sentinels of the Multiverse tops them all. What started out as a good game, became great with its expansions that tell the story and provides us with twists and turns along the way. Stefan Feld is brilliant, not just because he produces great games, but because they are so varied in their gameplay. The Oracle of Delphi boils down to a mythological race game in which you are attempting to achieve all the great quest before your opponents. A vibrant color palette, challenging pick and deliver mechanic and modular board setup will bring this to the table for years to come. With its ever so slight fantasy pasted on theme Century: Golem Edition puts engine building into your hands at an enjoyable gateway gamer level. San Juan provides the most streamlined gameplay from any of the multi use card games and yet it retains the complexity and competitive that you see in more complex faire. With its dynamic placement of “glass” tiles and chain scoring opportunities, not to mention its sweeter look Azul: Stained Glass of Sintra surpasses its predecessor in every way. Citadels is the best secret role game in tapletop. How can I say that? Well, because the selection and target of a role is chosen based upon on your direct build success and not that another player seems to have a thing for full moons. A brilliant two player battle game designed by Stefan Feld which utilizes dice to trigger your placement of cards. It’s so much fun, that it is of course out of print in both versions. Pure and straight forward dice placement and resource management keeps Kingsburg a perennial classic. The new reprint includes the expansion that is out of print and it fills out a good game to a great time for all gateway gamers. Amun-Re is my favorite Reiner Knizia game with its innovative auction and building mechanic. The second half the game in which you have to rebid on the now built up lands allows for fair and fun catch up. Revolution Railroad Revolution is a dynamic light medium railroad game that is more about increasing your company’s value in order to sell pieces off at the appropriate time. Interesting decisions challenge you throughout the game. Too Many Bones:Undertow and its predecessor, Too Many Bones, offers a unique twist on dungeon crawling. First, is its overproduced components that despite its lack of miniatures, never feels thematically lacking. Second, is its manageable campaign system, which gives the feel of a legacy game without the long commitment. Building your Small City is going to take careful economic planning, employing the government officials and a complete disregard for polluting your opponents city. Challenging and complex, but welcoming all the way through, it’s a fantastic game. The granddaddy of the deckbuilder, Dominion and its numerous expansions have hit upon pure mechanical perfection. With almost an endless number of card combinations this game is a league of its own. The classic El Grande and its recent long awaited (but perfectly predicted) reprint has constant table time due to its inventive card selection that manages troops and turn order. While there are a ton of area majority games out there, this one is the best. Everdell could be easily discounted for its fantastic and fantastical looking production, but at its root it is a solid city building game with some fun and thematic combos. Join me on the gentle Tokaido road in which we will visit the temples, eat great foods, purchase local crafts and paint the great vistas. The game works even better with the expansions and is great for a relaxed night at home or with the family. The Castles of Burgundy has no reason being as good as it is, but somehow this seemly complex collection of mechanism come together in such a way that in has lasted the test of time like no other game of its weight. Press your luck games are typically left to lighter game fair, but The Quacks of Quedlinburg offers a new way on an old mechanic but bringing in bag building and dynamic combos with a colorful palette. Rivet Wars: Eastern Front is a fantastic two player tactical war game that with its enormous kickstarter expansions offers a ton of options for gameplay including planes that hover above the battlegrounds. It’s quick playing objective based game that even when you lose, you smile at the fun gameplay and miniatures. Memoir ’44 + the fantasy realm of Terrinoth= Two Player BattleLore (Second Edition) Fun! Mare Nostrum: Empires is what happens when war gamers, euro gamers and a splash of Ameritrash hits the world of mediterranean mythology. Epic in every way, with multiple paths to victory that have nothing to do with conquest makes this a truly unique and dynamic game. If there was ever a grail game experience it has to certainly be Twilight Imperium. Epic in gameplay and in game time, this action selection game makes 4X conquest of the universe engaging on all levels. Star Trek Ascendancy boldly goes for a three player base game of galactic stakes that reflects the core attributes of each species. And yet, the game only really opens up with the expansion races that allow for different gameplay options and effects. Heavy enough for wargamers and yet approachable enough with gateway gamers. Richard Borg’s Command and Colors system is in full glory here with numerous expansions that make this a worth lifestyle game. Play with 2 or go full Overlord and play with an epic 8 player session. Jump Drive has replaced Race for the Galaxy by streamlining its confusing iconography and speeding up its game play. Amongst all the Queen Big Box games, Fresco is above them all. Not only does it offer interesting worker placement and resource management, but the multiple “queenie” expansions add several more drops of complexity and thematic color. From its elegant art and design to its innovative dice usage, Coimbra offers the greatest use of dice in gaming today. AquaSphere is Feld at his most fun and fierce. You dive deep to manage an aqua sphere while directly competing with your peers and a host of cute visitors. Dynamic programing, technological upgrades and a bright color palette make this one of the most fun games Feld has to offer. Calimala is an impressive economic game that utilizes an innovative action selection grid for resources as you try to overwhelm your opponents by placing influences in guilds and with the church. The stern look you’re getting from the King on the cover is a warning for any eurogamer that never faced direct confrontation from his opponent. Brilliant and brutal you build out the kingdom and castle as you race for the top buildings, while always keeping an eye on the tight resources that make this game a classic. Auctions and resource management games are often one trick pony, and yet, in Goa that is only the beginning. It is a well balanced economic game that never feels too abstracted. Fast, fun and innovative, The Castles of Burgundy: The Card Game brings together the best card game for its size in price in board game history. The recent reprint of Mission: Red Planet (Second Edition) comes with upgraded components, artwork and truly necessary rule changes. The role selection and area majority mechanics work really well together and it’s a great deal of thematic fun. Macao is Stefan Feld’s little engine builder of a game that once again brings in card combos and dice to run its economic engine to success. Colorful and of course with multiple paths to victory, this engaging game is sadly out of print. Caverna: Cave vs Cave has achieve a feat few games ever even attempt to risk; be a slimmed down version of a heavy euro and be different enough that it earns its own player in the world of gaming. Colorful and vibrant in its gameplay, Bora Bora shrinks down and makes sleek the build of a civilization with a bit of help from the gods and your best men and women. Tableau building and resource management really hits home in this thematic interpretation of building up a Suburbia. At the game’s end, I often wonder of the real life suburbia that followed my success or failure in the real world. The champion of the multi use cards has to be Glory to Rome. A brilliant and engaging experience of building up technologies to an often surprising victory. The only downfall to the game is that it is out of print. A painfully tense and yet highly enjoyable game about cornering the fast food market. A dynamic and impressive card play system allows for multiple paths to victory. Everything but the art for the board has a real thematic flare. Just when you thought you were a heavy gamer, Splotter comes along and drops you do in the most intense resource management /area control game in tabletop gaming. If you do not get buried under the endless chits, you will adore this AP breaking masterwork. Lorenzo il Magnifico and its expansion is what happens when you love euro engine building just way too much. It is lush with opportunities and yet, the AP involved in picking a single card is significant and lovely each and every time. A beautiful mess of a game in every way. Stark in its look and application, but complex and engaging in its interaction with other players, Smartphone Inc. makes all other economic games seem disconnected and cluttered. It’s a rare and brilliant gem in 2018. Underwater Cities takes everything great and not so great from the popular Terraforming Mars game and makes it better in almost every way. Personal boards in which you build up your plans and technologies that follow a logical progression that makes this game a refined gem that will certainly be a modern day classic. Who thought the Catalan tradition of building human towers who make such a great game? But, it does! You choose and build your tower of castellers to meet the goals of the city that is requesting the performance all the while trying to hit specific public goals and managing a special ability wheel. Great production. Uwe Rosenberg could have easily let be Agricola be his magnum opus of tabletop farming, but he went back to the farm and allowed for the cards to now be open information tiles and feeding your people to be reasonable. Multiple paths to victory and specialization are just two of the fantastic reasons to play this game. Despite its poor production, Terraforming Mars has brought efficient card playing action to the forefront. Endless paths to victory and expansions that correct some of the initial problems of the core gameplay makes this dynamic game a must play for everyone. Cuba allows players to build out a flush landscape and dynamic economic engine that is beautiful and complex in its application. Sadly this gem is out of print, but still holds a highly relevant place with gamers. Obsession allows you to take the role of a family seeking to rise in the social structure through the use of elegant deck and tableau building with a dash of worker placement. It seems all very complex, but somehow works so simply that this newcomer is sure to rise in its reputation. Orléans is a fine bag build game, but what really makes it shine is its expansions that give the game real depth with additional technology and new boards that make dismissing your workers truly valuable. After years of building complex euro game engines, Last Will comes in and forces you to deconstruct it. It is a simple idea but a truly mind frying experience that has you laughing all the way to the poor house and victory. If destroying your financial future wasn’t enough in Last Will, The Prodigals Club comes by and does you one better by destroying you social standing as well. What is strangely beautiful about this game is that it can in fact play with Last Will, so you can have your cake and lose it too! One of my first and meaningful euro engine builders was Saint Petersburg. It’s a classic for its “simple to learn, lifetime to master” quality, but it has stood the test of time with its numerous paths to victory. A must play. The Manhattan Project: Energy Empire brings us the hard fact that the actions that are quick and easy, often bring the longest lasting damage to our success. Power up your empire with dice, but be careful as power has a price. Multiple technologies offer endless replayability and fun to the table. Out of all its many iterations, this is the best of the “Projects”. Rococo doesn’t get the love it deserves and it’s a terrible shame. The opulence of the time it depicts has turned off many from what is an exquisite card management area majority game. Dinosaur Island should be just a collection of ridiculous miniature dinosaurs and Jurassic Park references and yet, with its streamlined gameplay and endless replayability, this is a game that has earned a worthy place at the table. The battle of the greek isles has never been more fun than with this bidding style war game that allows you to employ the blessing of the greek gods. The expansions that followed the base game really open the game and literally transform the landscape of the battles on the isles. Trading in the mediterranean has never been so fun or innovative. Instead of a rondel Mac Gerdts brings us an expanding hand of cards that allow us our own path to victory. Brass: Birmingham has surpassed its predecessor with a more expansive market and higher replayability. Not to mention a great new look and feel if you get the new money. Elegant in design and accessibility for all gamer levels. 7 Wonders brings civilization building to life with brilliant card drafting and tabule building. The expansions open the game up to deeper direct player interaction. Amerigo is one of Stefan Feld’s most ambitious exploration games that utilizes a cube tower to determine the strength of each action with a bit of surprise for later. Epic looking on the table and as always, many paths to victory. With endless cute chibi fantasy characters and a rock solid design and game play, Arcadia Quest dominates dungeon crawling campaign player vs player games. Carson City does something remarkable in that it brings thematic realism and meaningful player interaction in a worker placement game. I have chosen the Big Box version here, because the game really shines with the high quality components and numerous player roles. When I think of epic fantasy battles, there is no better than Runewars. The opportunity to expand with a race, build troops and utilize your heroes special abilities makes this feel like an old school real time strategy game. I never thought I would like a farming game, and yet, here I am singing the praises of Agricola. It is simply the most thematic euro game that you will ever find. If you are looking for a serious and meaningful civilization game then Through the Ages: A New Story of Civilization is the game for you. I would argue that this is the civ game more than any other that crafts a deep and meaningful story while bringing satisfying gameplay. 21 First Class: All Aboard the Orient Express! What a sincerely delightful and innovative train building games that offers the most diverse number of opportunities for replayability right down to a murder mystery. The wonderful building of your train that expands across your table is a sight to be seen. Kemet is beautiful as it is ruthless. Armies will battle it out in the desert with the use of monsters, the Egyptian gods and an innovative market of upgrades. Wonderful expansions open the game up even more with the latest making the game one vs many. Massive and beautiful in every way, Rising Sun has dominated 2018 and ever table in its wake. And yet, it’s gameplay is well thought out and simple to follow. Numerous paths to victory and expansions make this game a rising hit. The Voyages of Marco Polo accomplishes what few games ever do, asymmetrical powers that always feel balanced in the game. Dice placement is tight but fun and the expansion really opens the game up. Russian Railroads is a fantastic game, BUT only with its expansion German Railroads. Otherwise the gameplay always comes down to who is the first player that round giving them always the best choice with the other players forced to take an objectively less and less valuable choice. Add German Railroads and you got yourself a big hit. Two to four players can enjoy the fantastic realism of strategic decisions that makes 878: Vikings – Invasions of England so dynamic. Dudes on the map have never been this intense or this fun. Presto Changeo! Trickerion: Legends of Illusion makes worker placement fun and fantastically complex! Wondrous art and graphic design allows for deep and meaningful game play that deserves numerous gameplays. Never has there been a more wondrous and inspired thematic area control game that with one simple pull of the guild, starts a fantastical chain of events that will lead you to rule or whimper away. Feudum is a deep and complex experience. Scythe is (as I predicted) a game changer for the industry. It incorporates stellar artwork and a mashup of great euro and Ameritrash game play. And yet, it only truly shines with the Rise of Fenris expansion that makes Scythe a fully realized gameplay experience. Dominaire is an often overlooked game in the Tempest story, but it is simply the best of the all of its chapters. Card drafting and tableau building with the additional challenge of timing their triggering events in this area control game is fantastic. Blood Rage was and continues to be a game like no other. 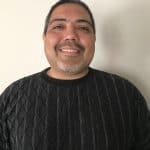 It expertly provides a dynamic ameritrash/euro experience with multiple paths to victory that embodies the “a minute to learn, a lifetime to master” goal. Star Wars: Rebellion is simply the best and greatest Star Wars in a box that board gaming has ever had. Period. Along with a worthy expansion, even non-Star Wars fan will enjoy the hidden movement, battles and fantastic production. If Lord of the Rings was told in cardboard, it would be in War of the Ring (Second Edition). Hidden movement, epic battles and engaging card play makes this game the classic grail game that everyone must play. A stellar production and engaging dice resource placement makes Roll for the Galaxy one of the greatest civilization games in space ever. When critics of euro games scoff at the hobby, they often point to the cubes and cones of Dominant Species. And yet, on closer observation you will find one of the most thoughtful and interactive games ever crafted. Lisboa is an elegantly crafted game about the rebuilding of this famous Portugal city after an earthquake, fire and flood. Beautiful artwork and intense card play makes this a heavy game every gamer should play. Stefan Feld has many wonderful designs, but Bruges with its multi-use cards and multiple point salads to victory can’t be overstated. 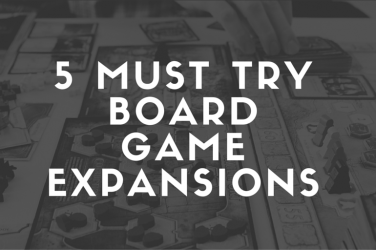 A “Must Have” expansion fills out the dice rolls in a very satisfying way. Roundels for days and I could not be happier! I love the way you select your end bonuses and how you are actually putting together pieces of a ship make Shipyard everything you could ask for in a heavy euro. 7 Wonders Duel simply does the impossible by taking a modern day classic and make it far better and streamlined. Add the expansion for more player interaction and special abilities. There have been very few game experiences that have WOWed me like Defenders of the Realm. It’s old school high fantasy D&D with an epic narrative and wonderful expansions. I have yet to meet a gamer that has not loved the experience. It has a deep bench of great expansions. Dream like in its presentation and yet, pragmatic in its strategy, Spirit Island has you taking up arms against the colonists that are corrupting your lands. Having the NPC of the native people join your cause as well as your fellow spirits makes this co-op game a joy to behold. Spirit Island can be complex and take a good long time to finish, but if you have a quiet space and a good team, you are going to love this game.